XENA was a special guest at the FESTIVAL OF THE UNICORN 2013 at Vinci near Florence in Italy. Xena presented impressions from her work at the AVANTGARDE vs. FINE ART EXHIBITION! XENA and CAPTAIN JACK SPARROW were special guests at the FESTIVAL OF THE UNICORN 2011 at Vinci near Florence in Italy. XENA's PIRATE SHOW at the Premiere of POTC 4 in AUSTRIA. XENA and her Crazy Crew were guests at the 666 Blut Rot. XENA and her Crazy Crew are VIP-Guests at the PIRATES OF THE CARIBBEAN BALL. PELLICULA - a non commercial community of young filmmakers choose us for their new project - a XENA FAN FILM PROJECT! Hosted by CASTRA VITA Xena did a spontaneous fireshow at a medieval fair in Vienna. 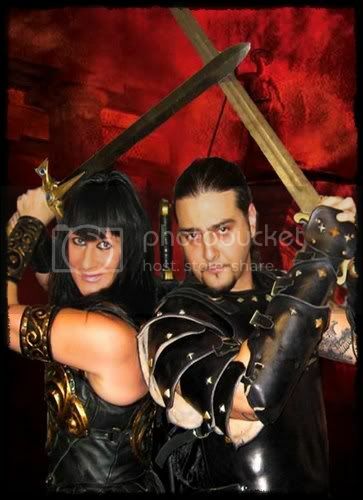 XENA PIRATE FANTASY SHOW & XENA FIRESHOW: 28th & 29th May, FESTHALLE GABLITZ! XENA's PIRATE FANTASY SHOW and XENA FIRESHOW at the big presentationevent of the community 'die KÜNSTLER' ! 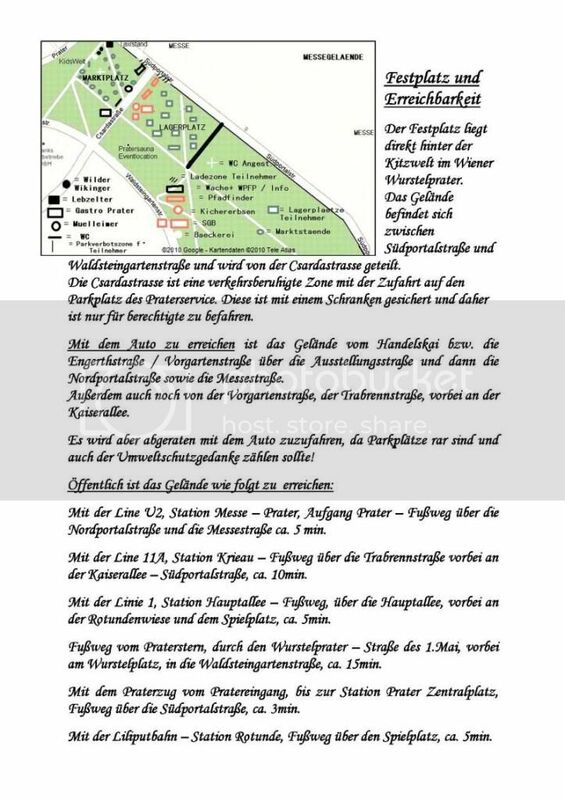 May 28th and 29th 2010 at the Festhalle in Gablitz near Vienna was a blast! XENA's PIRATE FANTASY SHOW at the big MEDIEVAL-FANTASY-EVENT at the Wiener Prater was a blast! XENA'S PIRATE FANTASY SHOW at JULEI's BIRTHDAYBASH!!! 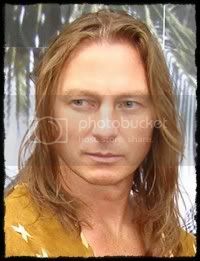 XENA CONVENTION 2010 in LA WAS A BLAST! 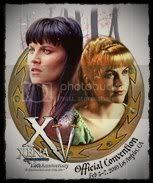 XENA CONVENTION in LOS ANGELES, CA. It took place at Los Angeles Hotel Marriott at LAX, February 5-7, 2010. ARES W. CORBETT, our gifted ARES actor entertains you with evergreens and special guests! XENA's PIRATE FANTASY SHOW WAS A BLAST! Enthusiastic audience and fans from all Europe enjoyed the sunny weather and the two open air shows on Sept. 11th and 12th in Vienna! 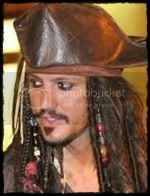 My great friend and gifted violinist HITTAVAINEN from the finnish band KORPIKLAANI transformed with my handcrafted outfit into an authentic C. JACK SPARROW for the last special show of the PAGAN/PIRATEFEST 09 at the Posthof in Linz/Austria. 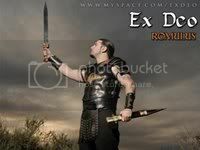 XENA ON STAGE WITH EX DEO! At the PAGANFEST 09 in Linz - Xena had a guest appeareance on stage with the Italo Canadian Band EX DEO - project of KATAKLYSM mastermind Maurizio Iacono. 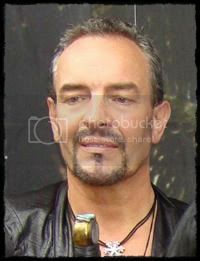 HOT new HERCULES actor JÜRGEN LILL in XENA'S SHOW!!! 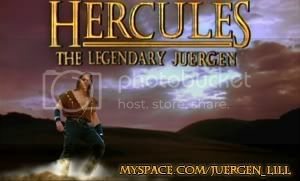 After the unexpected, sudden exit of my old Hercules actor Seth Raven I had the big luck to cast a brilliant actor mate from Germany - JÜRGEN LILL.